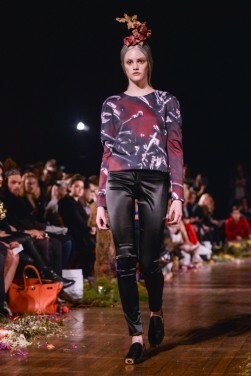 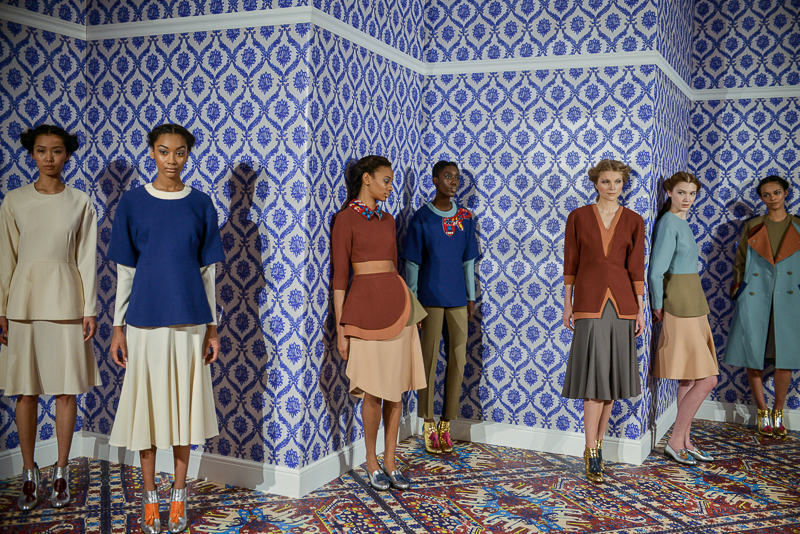 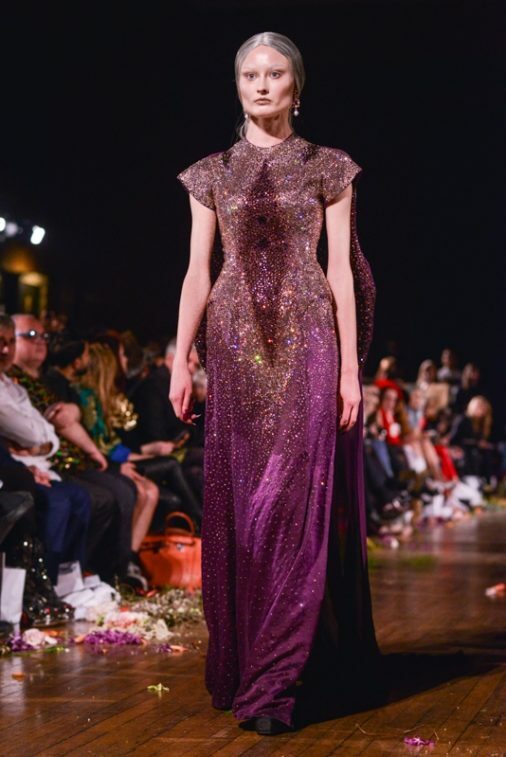 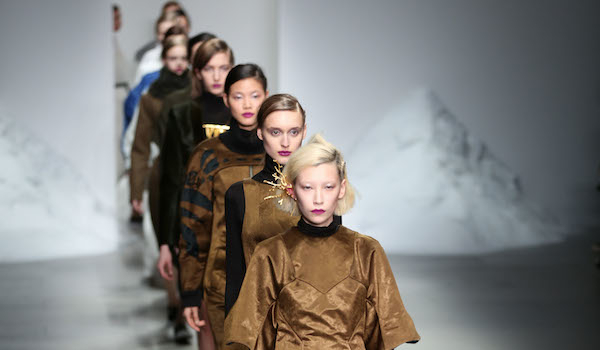 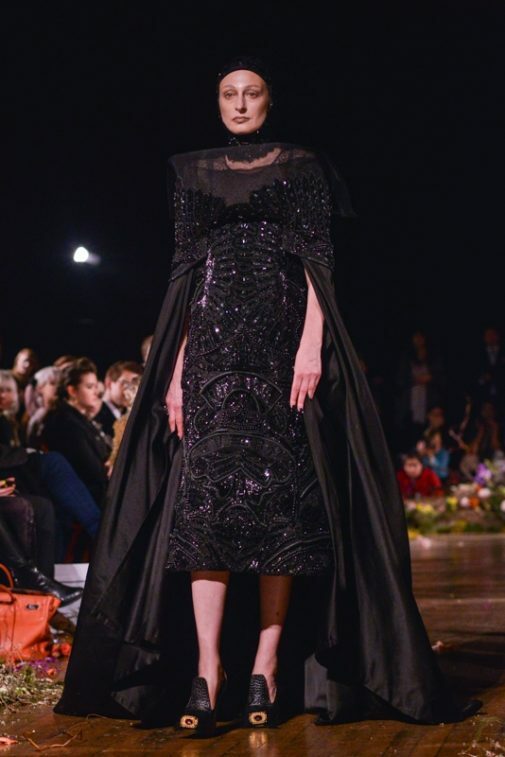 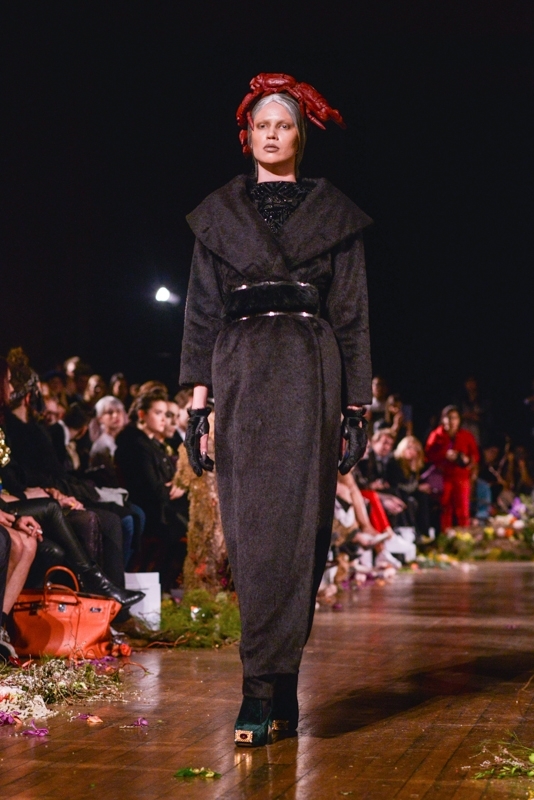 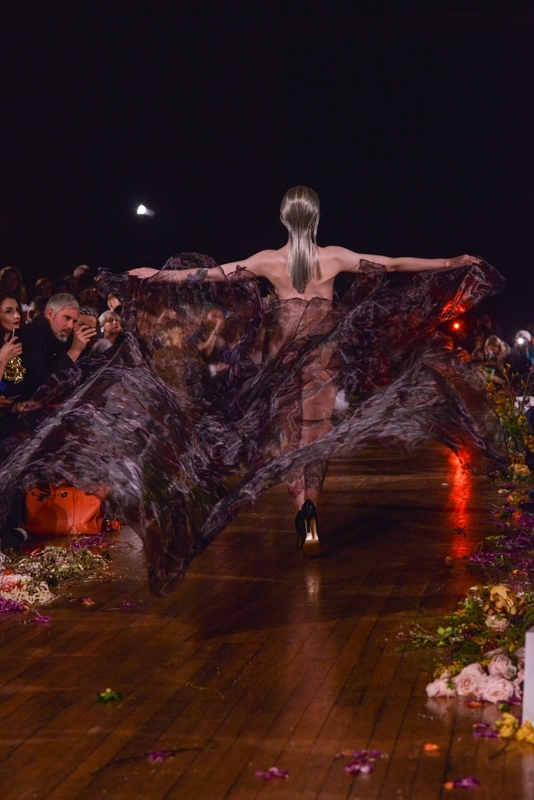 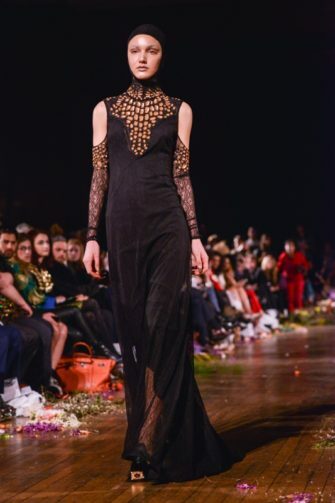 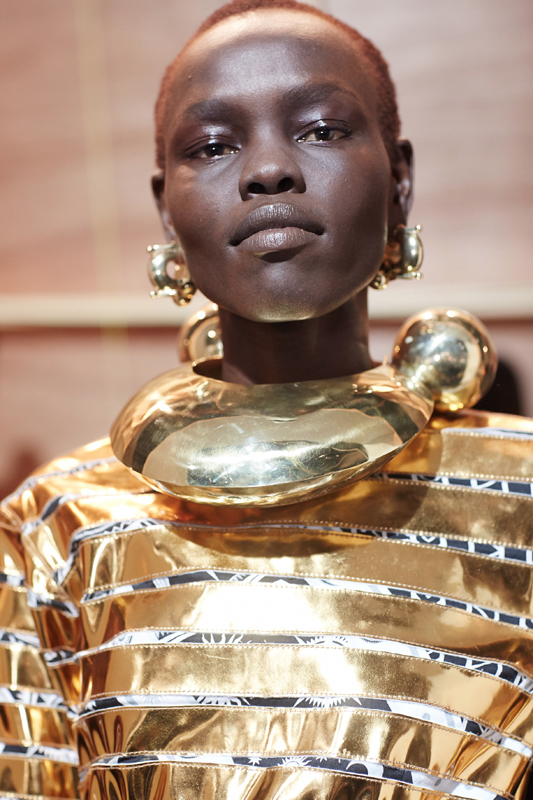 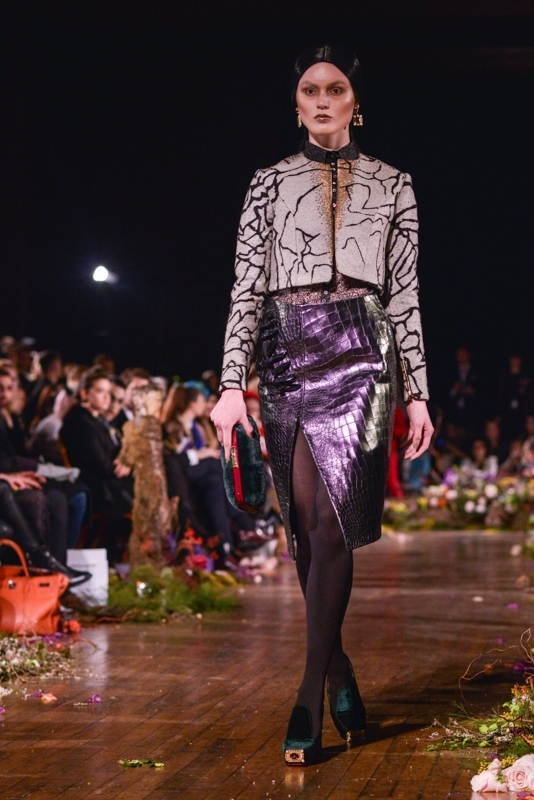 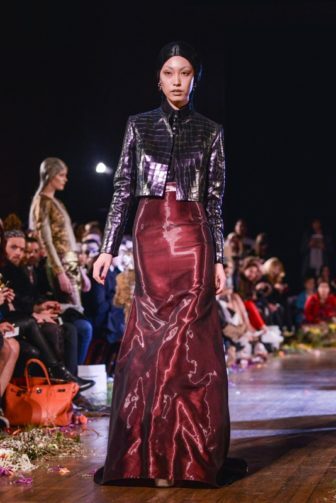 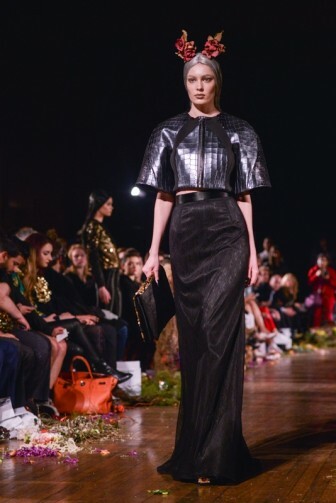 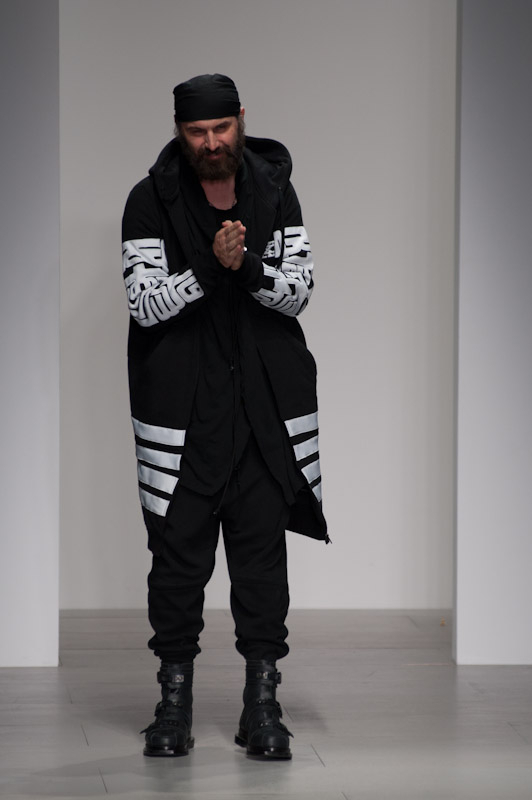 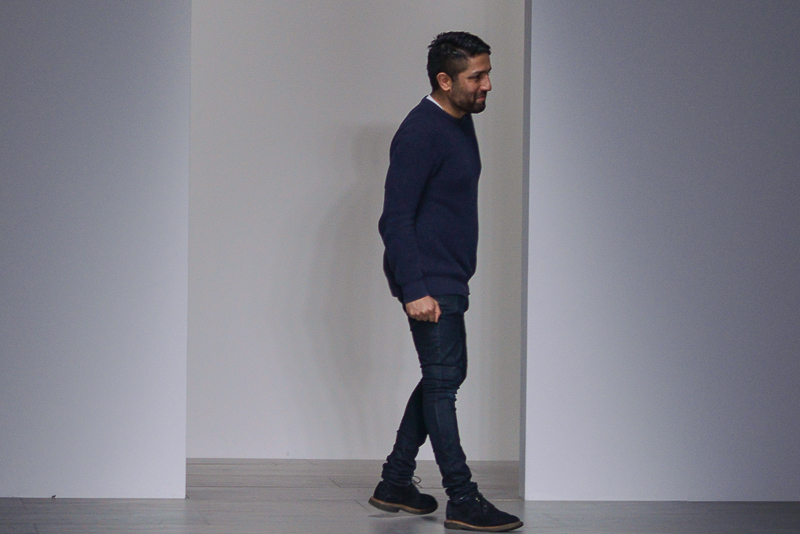 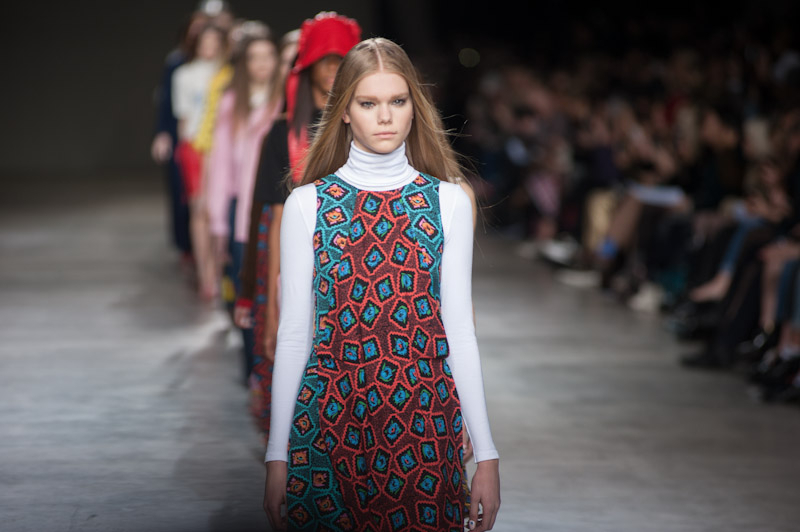 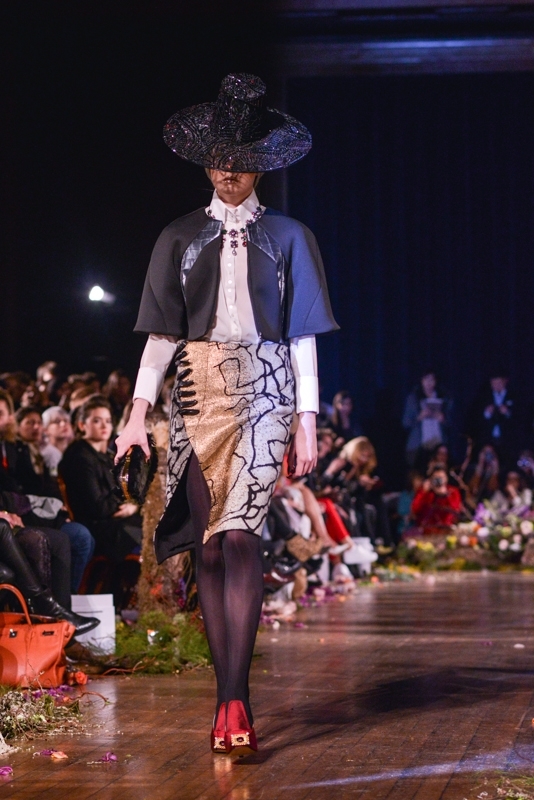 Sorapol’s collection at London Fashion Week was one we will not forget, for sure. 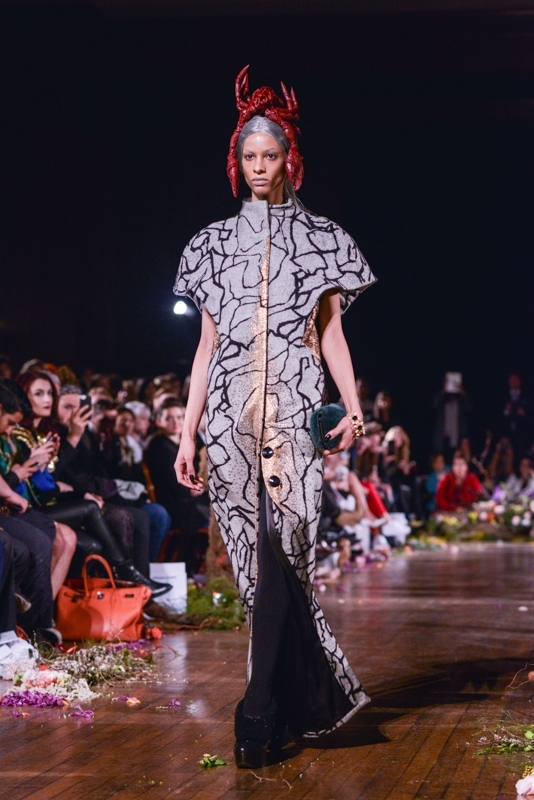 With drastic and powerful designs, the collection was one not to be missed. 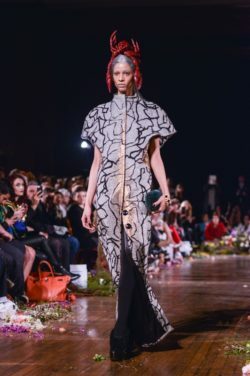 Sorapol is known as the London studio of Bangkok-born design exemplar, where Chawaphatnakul along with the artist Daniel Lismore combined traditional craftsman techniques with disruptive silhouettes and corrupt luxury in the designs of their garments. 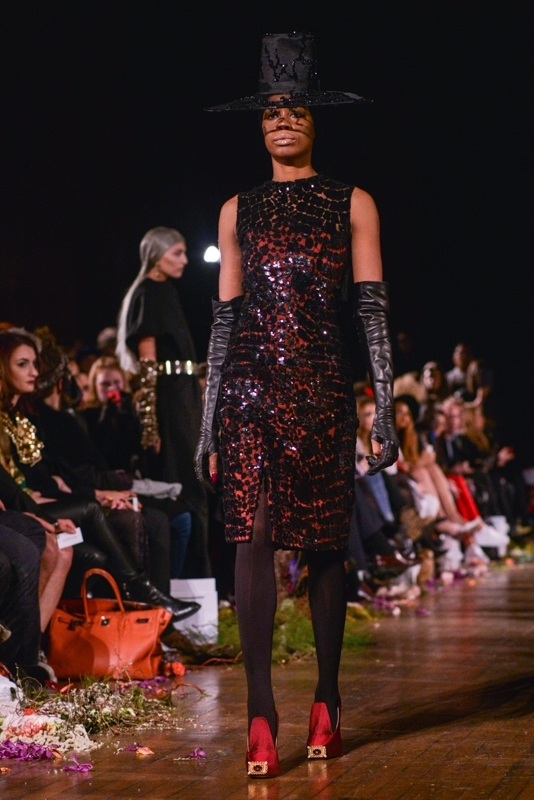 The brand had its big moment when its first line for Pret – A – Porter was launched for the London spring/summer 2014 collections. 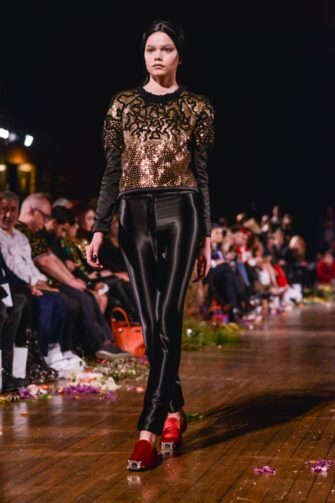 Admired for their solitary designs they have been worn by many famous faces from Kylie Minogue, Azealia Banks to Nicki Minaj. In addition, they have had some great publications in Vogue, Elle, Nylon and many more well-known magazines, which has given the brand a great deal of publicity. 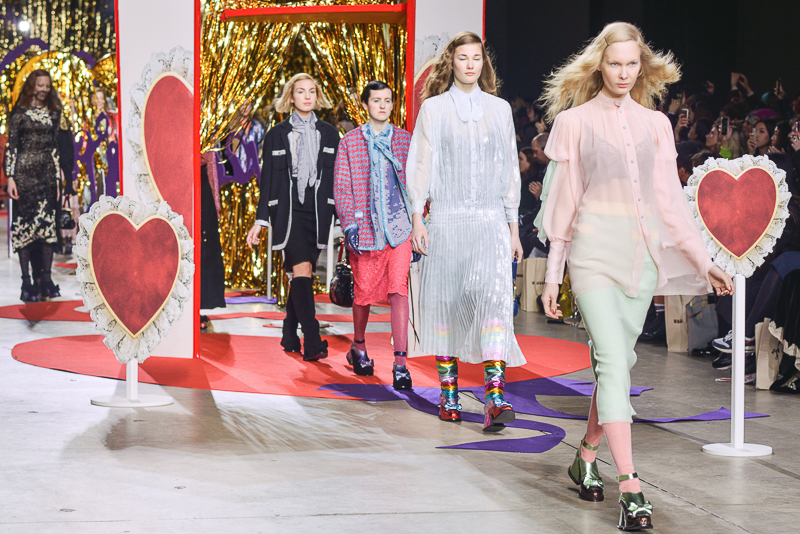 The catwalk had a striking effect as soon as it began, with a very rousing short clip at the beginning which then transitioned to the show itself. 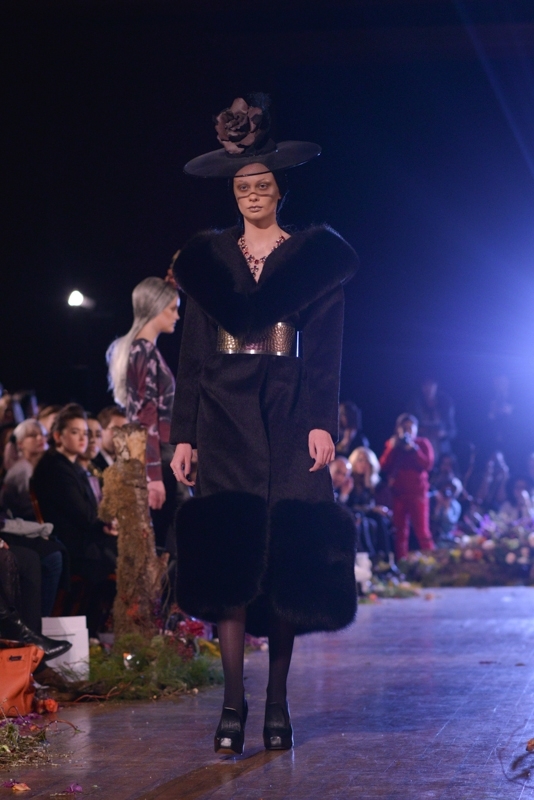 The overall feel was very theatrical, dark and doomy; the colours were strong and bold with a sudden pop of violets. 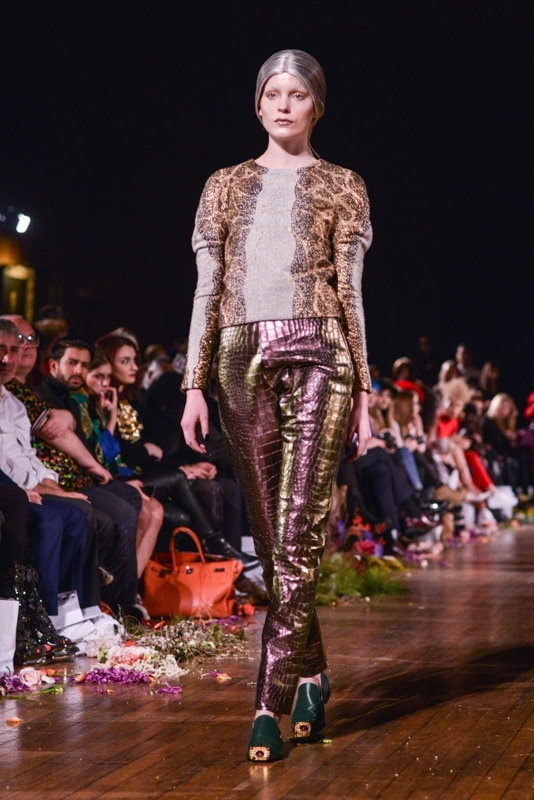 The striking designs were the all-over sparkly garments, which had a strong impact on the whole audience. We loved how the designer showcased the designs as the audience was almost unsure what to expect next. 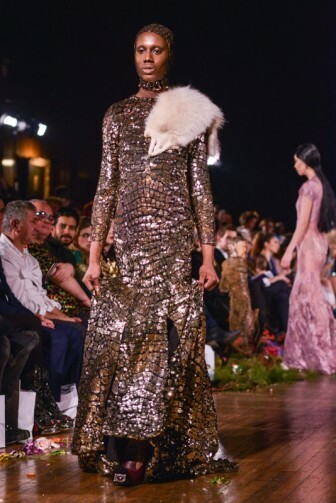 The Sorapol woman is “powerful, elegant and transgressive”.